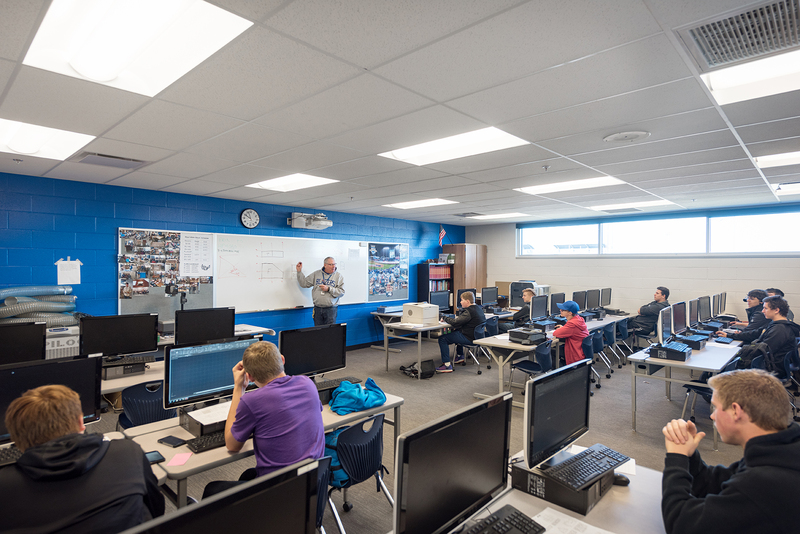 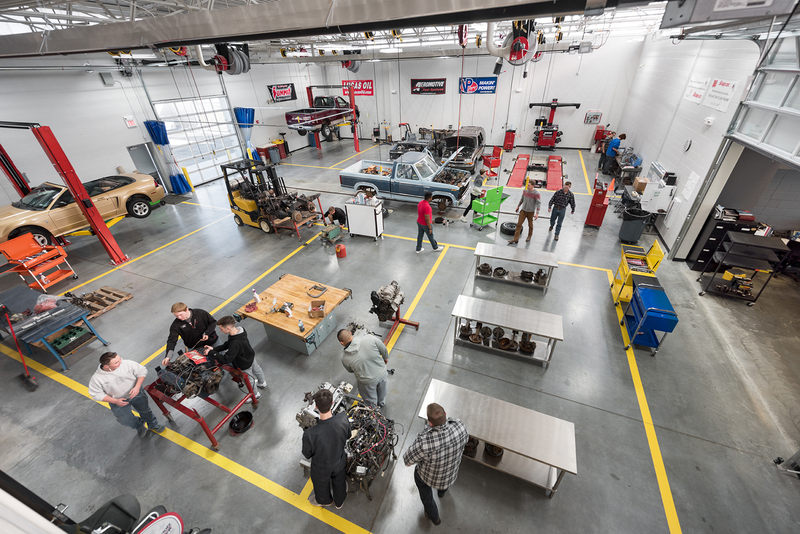 The Gardner Edgerton Advanced Technical Center is a state of the art Advanced Technical Center combining Automotive Technology, Automotive Collision Repair, Welding, Building Trades and Computer Aided Drafting into a new, stand alone building. 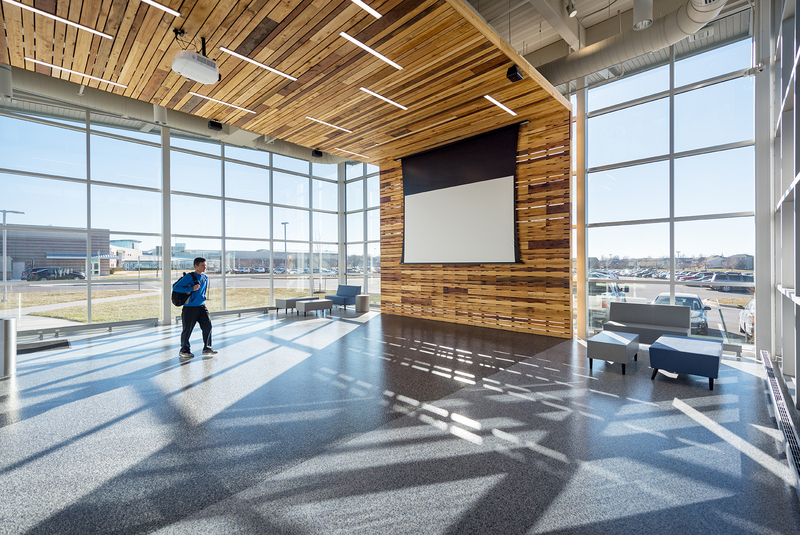 The building presents a “High Tech” image in order to attract and retain both students and faculty. 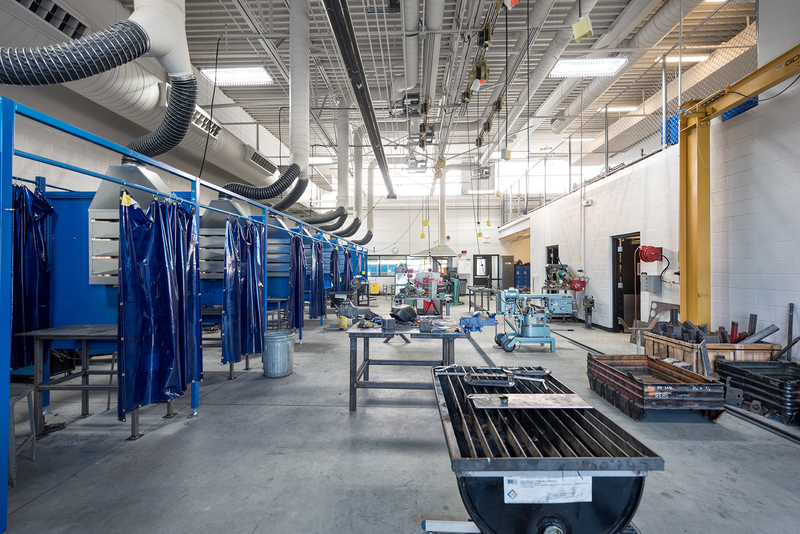 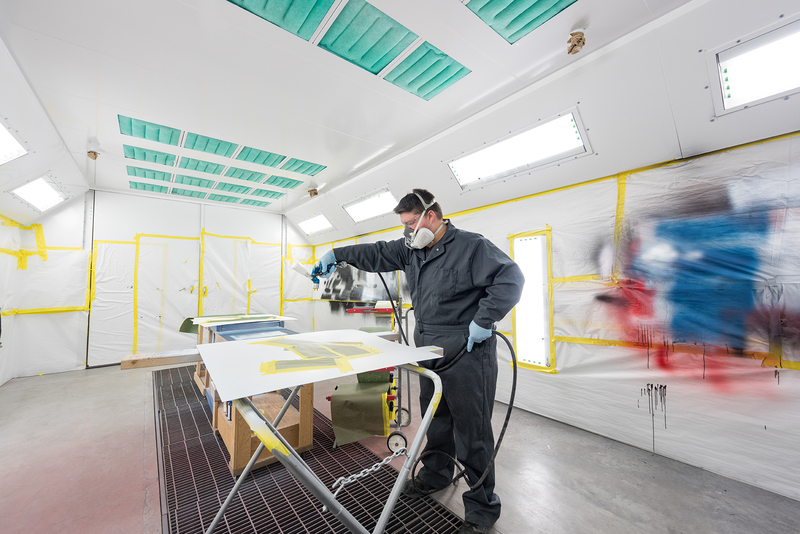 The facility allows the students to receive certifications in their area of study to be able to enter the workforce immediately upon graduation. 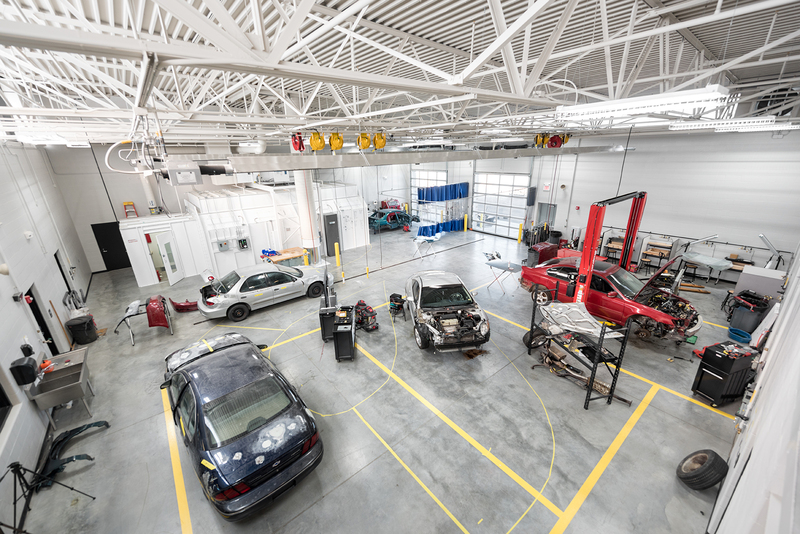 The facility is flexible to allow for future program modifications within each trade. 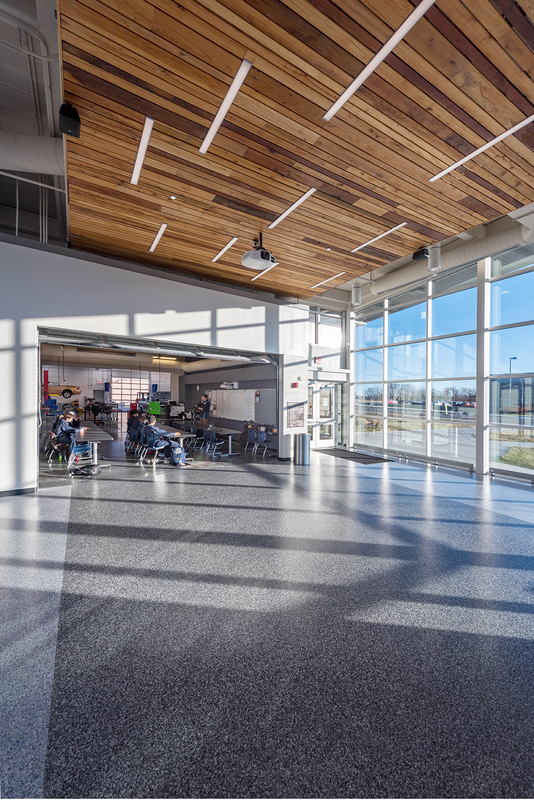 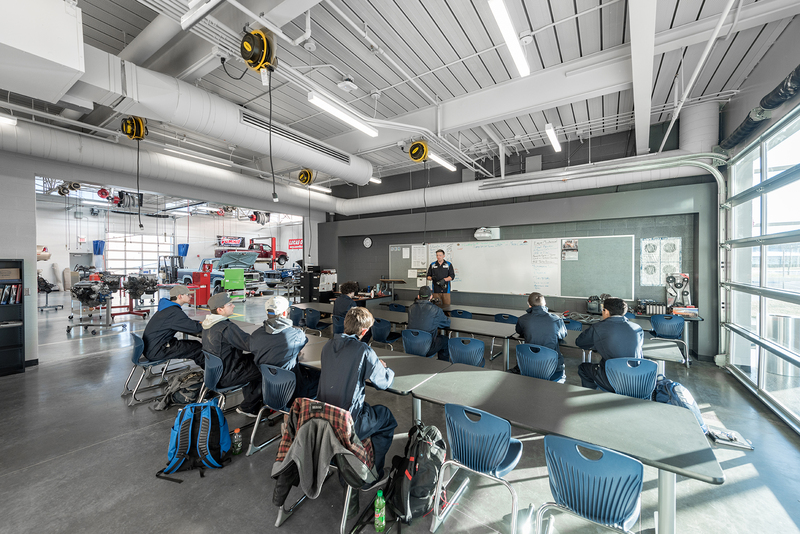 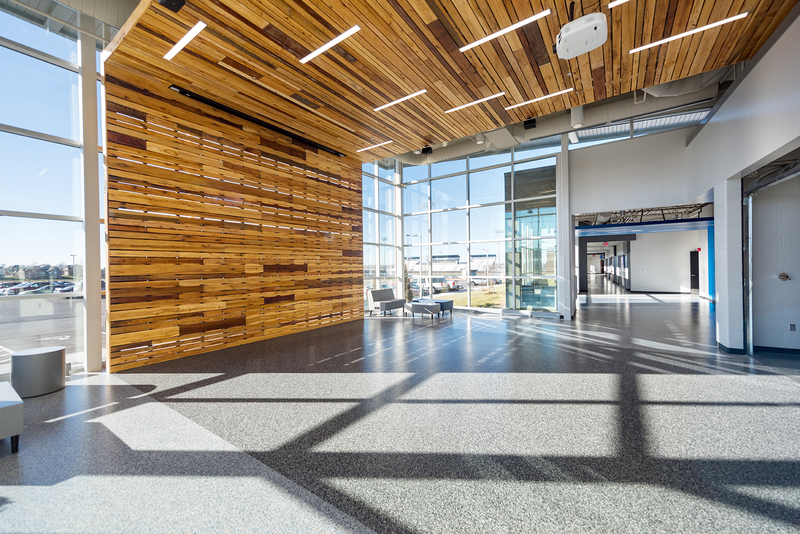 The building has a high transparency between the circulation, the classrooms and the shop areas to create excitement and energy within the building while allowing for constant instructor observation. 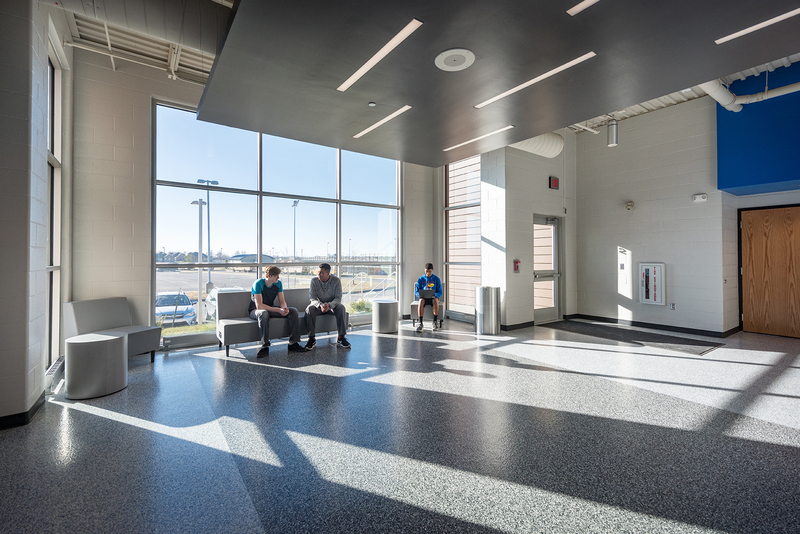 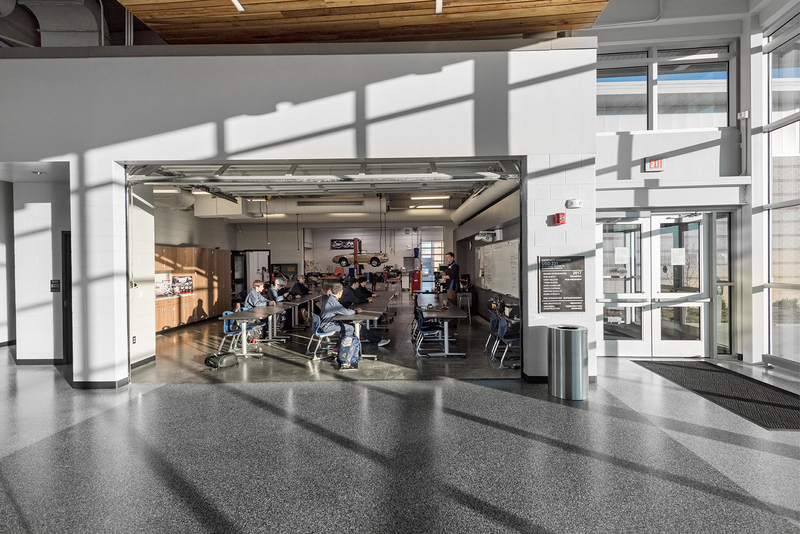 The main building lobby can be opened up through to the automotive technology bay to allow for display of student projects as well as to allow for large student functions. 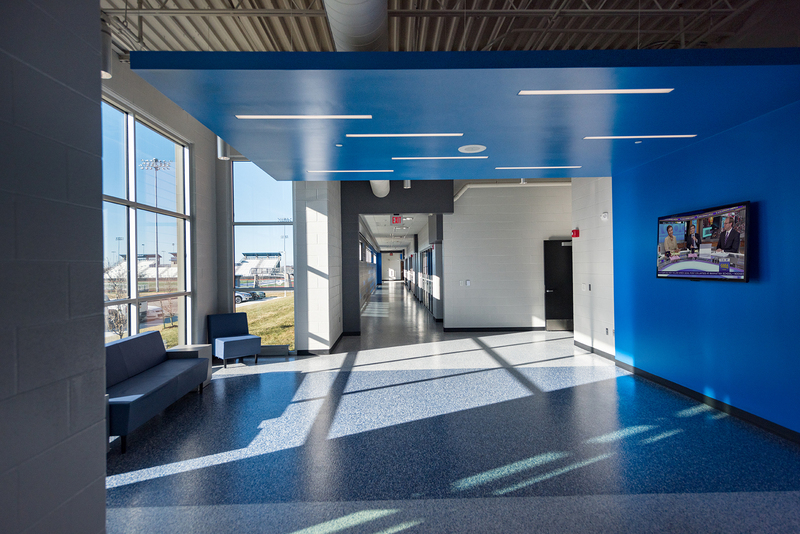 Individual project lobbies allow for additional display of student work and instruction. 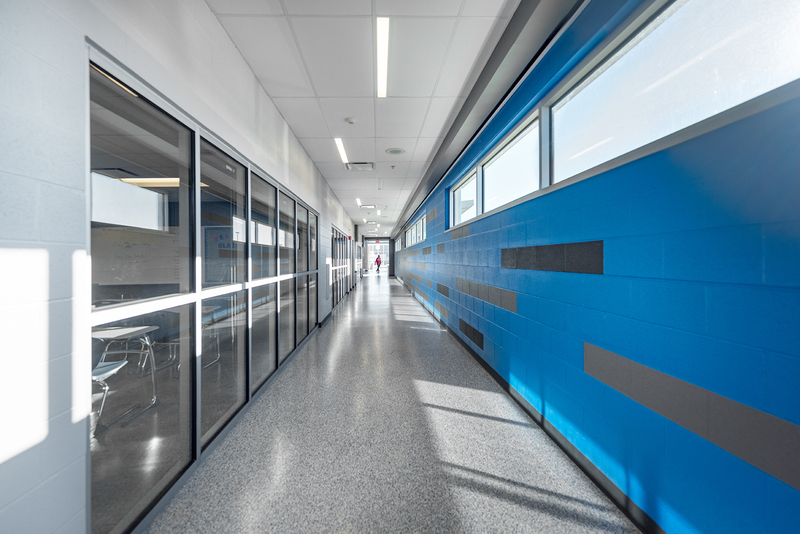 The exterior skin of the building incorporates many construction methods including masonry and a rain screen system of both terra cotta panels as well as metal panels. 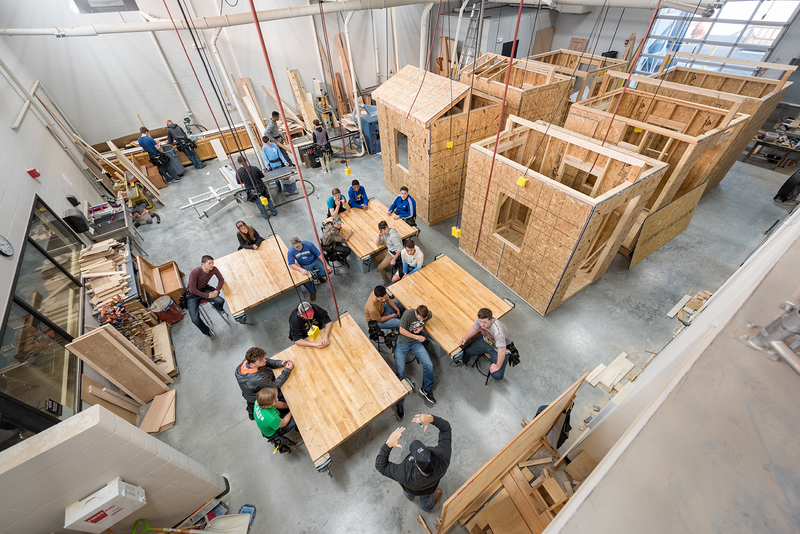 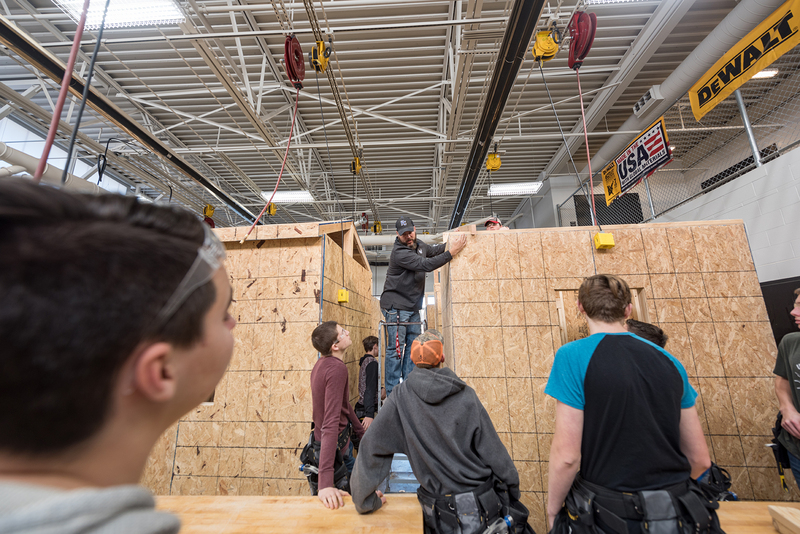 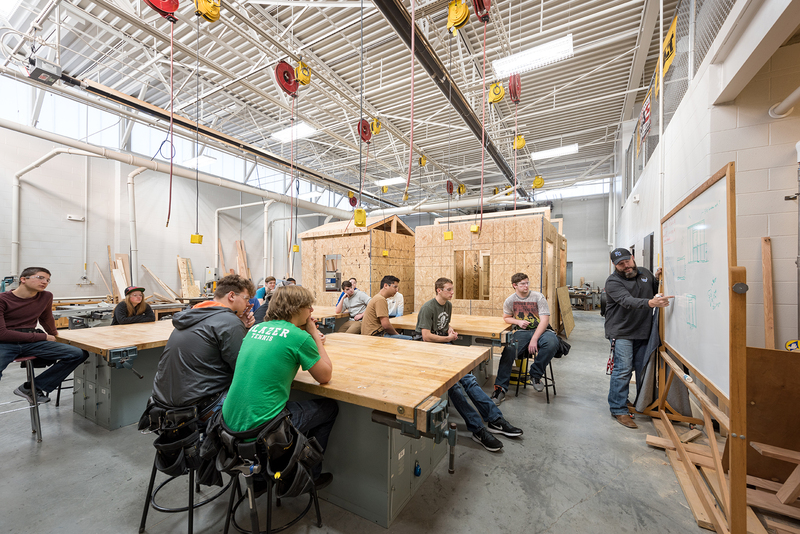 The multiple systems allow for the building itself to be an instructional tool for the building trades.